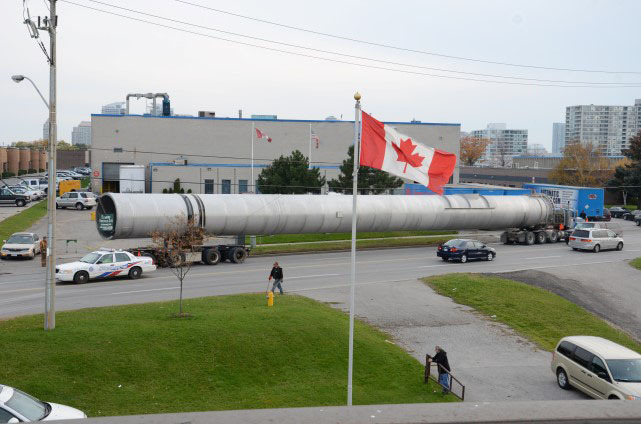 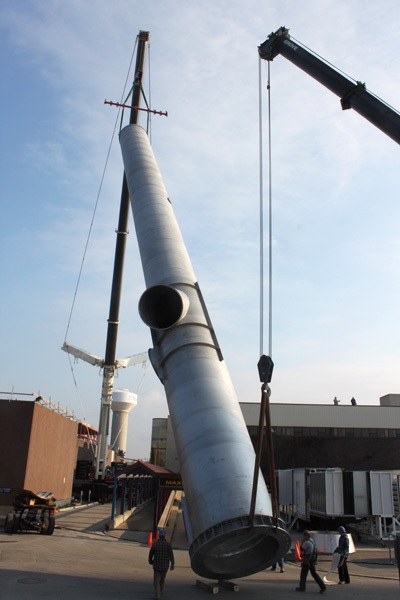 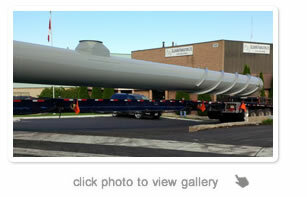 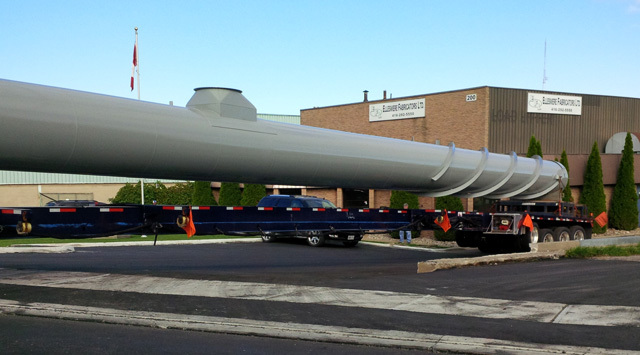 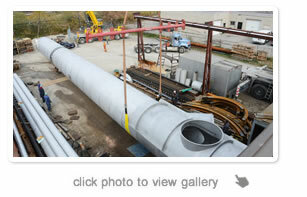 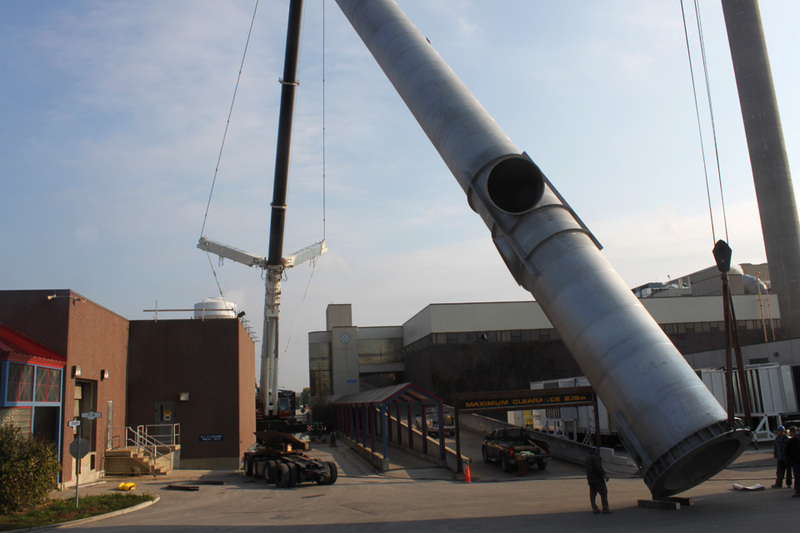 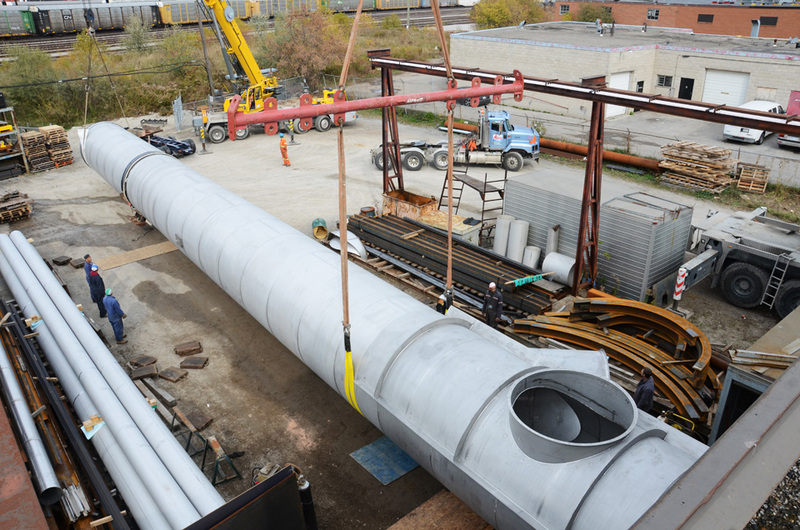 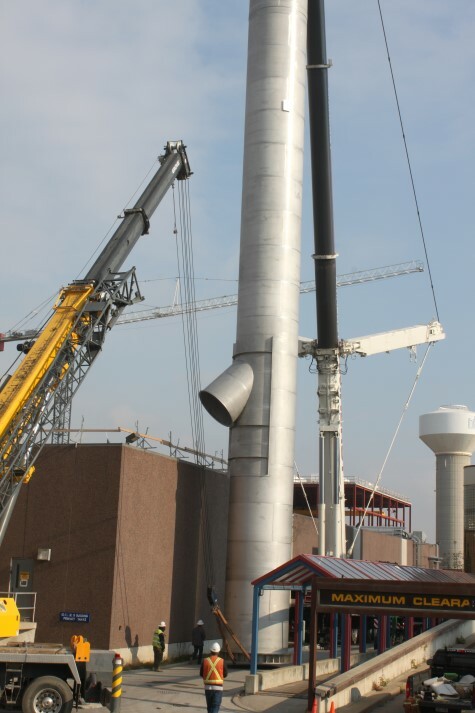 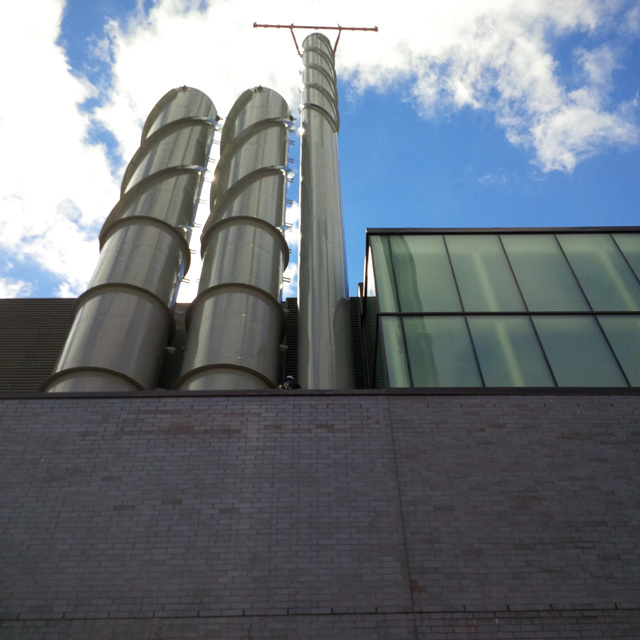 Ellesmere Fabricators fabricated, transported and installated a 109 inch diameter x 135 foot tall stainless steel bio-filter stack at the Ashbridges Bay Toronto Waste Water Treatment Plant. 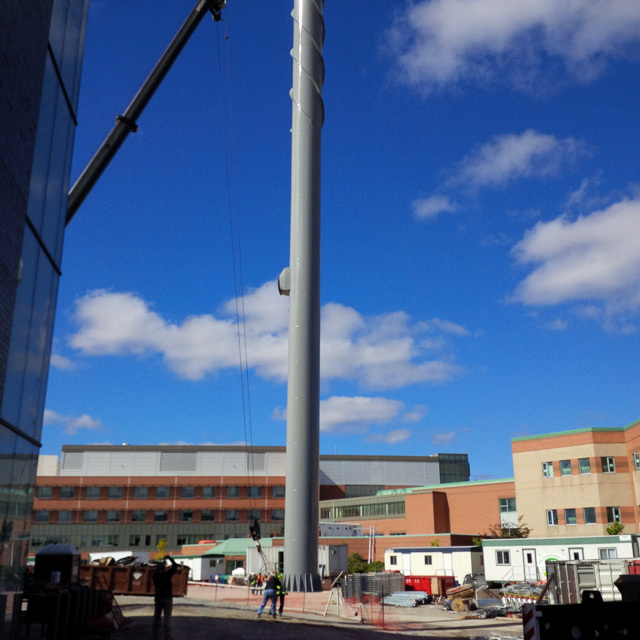 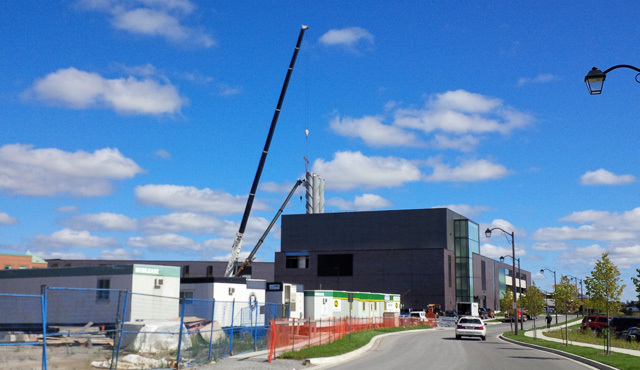 Ellesmere Fabricators fabricated, transported and installated a stack at the Markham Stouffville Hospital as an addition to the exhisting stacks. 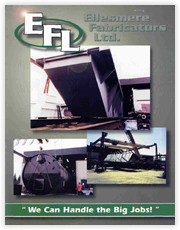 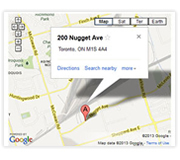 At Ellesmere Fabricators, Quality is our Motto!